In our last post, we took the opportunity to share with our readers the fact that if any Texas resident is in need of a payday or title loan, 2019 is the same as 2018 in the sense that you can get what you are looking for at Your Loan Depot. We offer affordable, trustworthy emergency cash, whether you are looking to bridge the gap between paychecks or you need to put your car up for collateral in order to make rent while paying off some unanticipated medical bills. Yes, 2019 is firmly upon us. We, somehow, trudged our way through 2018 and have hopefully emerged refreshed after the holidays to embrace whatever 2019 has in store for us with open arms! Does the above not describe how you are feeling about the new year? Hey, if you’ve made your way to our payday lender site, it’s quite plausible that you won’t be in the mood to reflect on the new year. In fact, the majority of people who come to us are in need of emergency cash. When getting your bills paid is the priority, everything else seems to pale in comparison. As we mentioned above, Your Loan Depot is a Texas payday lender that can help you understand the fine print of the repayment plan on your fast cash loan. Whether you are interested in a Texas payday loan or car title loan, we’ll walk you through each step of the way so that you know exactly what you need to do in order to repay the loan and come out clean on the other side. 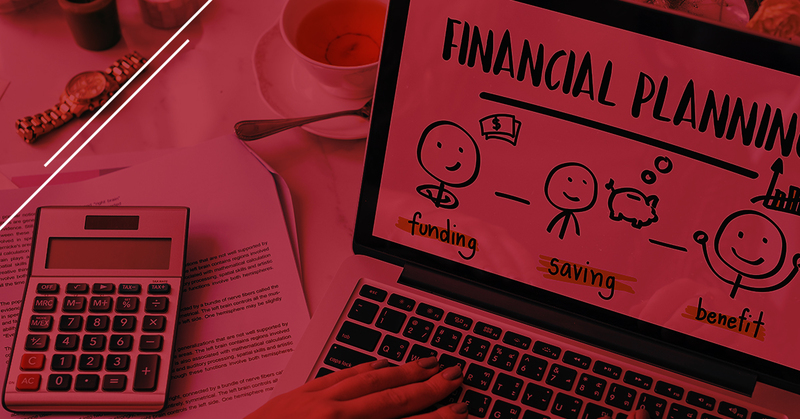 If, however, you made your way to this blog because you are looking to better manage your money so that you hopefully do not find yourself in a situation where you’ll need emergency cash, then we think you’ll enjoy today’s post. As the title already gave away, we are exploring why budgeting is so darn difficult, along with what you can do to solve some of your budgeting shortcomings. If you are interested in enacting some self-improvement, whether it’s your resolution to do so or otherwise, we’ve got you covered here at Your Loan Depot, so read on! Before we go on, we’d just like to say that by no means are we implying that everyone who needs a payday loan is guilty of poor money management. Circumstances are almost always outside our control to one degree or another, and so we want to make sure our readers understand that we are here providing this advice in a judgement-free way. That being said, we are firm believers in controlling the controllables. And we also like pithy quotes, which is why the phrase “failing to prepare is preparing to fail” rings true in this situation. Now that we’ve established that fact, let’s talk about why exactly it seems to be so difficult for us to effectively budget in today’s day and age. You have no idea where your money is going in the first place – One of the most common unhealthy mental habits people have is to avoid the problem — it’s where the phrase, “Out of sight, out of mind!” comes from in the first place! But the fact of the matter is that your financial issues exist whether you take the time to look at your bank statements and credit card bills or not. So the first step in dealing with budgetary issues is to find out where you are at. Find out where your money is going and how much you are making each month after taxes. You don’t have to be a certified accountant to do a little bit of addition and subtraction! But wait, what if you don’t know how to access your money? Let’s not put the cart before the horse here. If you have a smartphone and a bank account, the odds are strong that you’ll be able to download an app. You might need to recover your bank account number in order to make a profile. But after this step is completed, you’ll be able to access your expenditures from your smartphone or computer without any trouble! If you have any issues with this, visit your local bank, as this is an essential step in the process of effective budgeting. Once you have access to your bank account and have determined how much money comes in and out each month, it’s time to find out where your money is going. Now, this might be a challenging experience for some of us, because we are rolling over the rock to find the ugly grubs we’ve been hiding from ourselves. Maybe you spend $200 a month on fancy coffee drinks, or maybe you go out to eat for breakfast, lunch, and dinner. You might be paying a weirdly high amount for your cable and internet bundle. You might be paying for five video streaming services every month — four of which you’d forgotten you signed up for at all! It’s time to make goals – If you let yourself get caught up in the ugliness of the harsh reality of unhealthy spending habits, it’s enough to make your roll the rock back over and run to get a $5 iced coffee, fast food, cigarettes, and then sign up for Hulu again. That’s why it’s vital to focus on the positive — in this case by setting goals. In our next post, we’ll discuss how you can make your goals achievable. So make sure you stay tuned! You aren’t sure how you should be saving. – Let’s talk best-case-scenario — you are able to cut back on the habits that make your finances unsustainable. Your lifestyle change wasn’t easy, but you were able to get it done by focusing on making little improvements every day. So, if you were able to do all this, what are you supposed to do with the extra money you have saved? The world of investing is a complicated place, so you don’t want to do anything rash. Here’s our advice: start by giving yourself a cushion of at least $5,000. You may not make much, if anything, on interest rates (due to inflation), but it’s important to have this kind of money so you can prepare for a rainy day. That way, you won’t even have to give Your Loan Depot a call! If, for whatever reason, you need to, we are available and ready to help you with your emergency cash needs. Differentiate between the unexpected and emergencies – There are some things you will never be able to properly prepare for, like medical emergencies or an unexpected death in the family. There are other problems, however, that you can see coming, like changing your tires. So while you might not be able to stop a car accident from happening, you can prepare wisely by getting your tires changed and brakes checked every so often. Again, failing to prepare is preparing to fail! Well there you have it. Because we only had time to focus on the reasons why budgeting is so difficult, we decided to make this post a two-part series so that we can be solution-oriented in part two! That being said, if you find yourself in need of a payday loan or a car title loan in Texas, we have payday lender locations in Texas communities that include Houston, Rosenberg, Conroe, Tomball, Mansfield, Airline, Humble, and beyond! Don’t hesitate to reach out to us if you have any questions about the repayment process, vehicular collateral, or anything else related to title and payday lending. We want to help get you back on your feet, so come see us soon!